I was attracted to this book because it reminded me of Brideshead Revisited, and I loved both Evelyn Waugh’s book and the 1980s TV series with Jeremy Irons. Brideshead for me however, lost something special the moment it shifted its focus from Charles and Sebastian’s friendship to Charles and Julia’s romance. I’d always been fascinated by the emotions brimming just beneath the surface between Charles and Sebastian, and considered Julia mostly a socially acceptable substitute, and one of the reasons I was disappointed in the 2008 movie is that it removed all subtlety and worse, depicted Charles as being in love with Julia from the very beginning. Similar to Brideshead, The Stranger’s Child is at its strongest when describing the summer that George Sawle brought poet Cecil Valance to his family estate. George’s younger sister Daphne has a crush on Cecil, and an ambiguous poem he writes in her autograph book gives cause for a debate that spans generations. About a quarter of the way into the book, we learn that Cecil dies in the war, but that his poems live on, particularly the one he wrote while at George and Daphne’s house. Cecil’s motivations behind the poem are left unknown, and the question of whom he loved is left unanswered. Most of the book is about Cecil’s legacy, and the impact of his life — or rather the impact of how people interpret his life — upon future generations. On one hand, Hollinghurst turns the basic concept of Brideshead into an intergenerational epic. This allows him to explore how attitudes towards homosexuality have changed over time, and how a character in contemporary times needn’t hide as George and Cecil may have. On the other hand, there is a reason it is so believable for Cecil to have such an impact over generations — he is the most striking presence in the book, and his death leaves a gap not just in the other characters’ lives, but in the story itself. Other characters’ memories of him are significant insofar as the book takes a look at storytelling, and how perception shapes reality, particularly when it comes to historical figures. Unfortunately, none of the other characters possess Cecil’s charisma, and memories of Cecil pale in comparison to his presence. 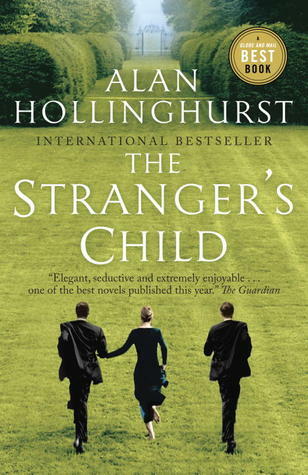 The rest of the book pales in comparison to the first section, and despite it engaging with a larger breadth of issues, despite Hollinghurst’s lovely way with words, the story has, for the most part, lost its magic. On an unrelated note, the cover of the paperback is absolutely beautiful, and I may keep my copy for that alone.